The Scottish Mountain Bike Consortium (SMBC) is a group of like-minded private sector businesses, working in collaboration and committed to developing high quality mountain biking events and facilities across Scotland. Through cooperative working and links to public sector agencies, we can offer complete packages for businesses, local authorities, agencies and groups looking to get involved in mountain biking for the first time, as well as established providers seeking to expand their mountain bike offering. SMBC is committed to developing and running family-friendly events that encourage economic growth, participation and tourism. By providing this one-stop service we hope to establish best practice models for the mountain bike sector in Scotland. Learn more about our FAMILY-FRIENDLY model. Learn more about membership in our JOIN section. AMX (All Media Xperts) is a provider of innovative graphic design, print, web, advertising and marketing solutions. We specialise in providing solutions for the outdoor sector and understand the Cycling market thoroughly. We have worked with companies ranging from SMEs to large corporate bodies such as IBM, Scottish Cycling and Gartner. We can provide a wide spectrum of services completely encompassing the creative and marketing needs of a business – from the design and print of a single business card to the production and rollout of national marketing campaigns. We offer a complete solutions service tailored to your individual requirements and market. Our solutions are designed to improve the way in which your client base perceives your business. These solutions will increase qualified leads through correct market positioning, advertising and marketing while monitoring your return on investment. This will ensure you receive maximum exposure for minimum outlay. Collective Training is one of the founder members of the SMBC and is run by Tom Durham, who also runs Collective Trax. Collective Training is a well-respected provider of training, coaching, guiding and instruction in a variety of First Aid, Mountain Sports, and Water Sports courses across Scotland and beyond. Of particular interest to mountain bikers, are the First Aid for Mountain Bikers courses – tailored specifically to the requirements of mountain bike guides, leaders, and coaches; and their video analysis coaching system, developed in partnership with SMBC Associate Member, Morrocco Media. Collective Trax are mountain bike trail design and construction specialists as well as suppliers of a portable modular bike track system. All consultancy is provided by Tom Durham, one of the founder members of The SMBC, and director of Collective Training. Tom is one of our experts in facility development and regularly carries out feasibility studies for new projects of all scales, including macro or detailed design. 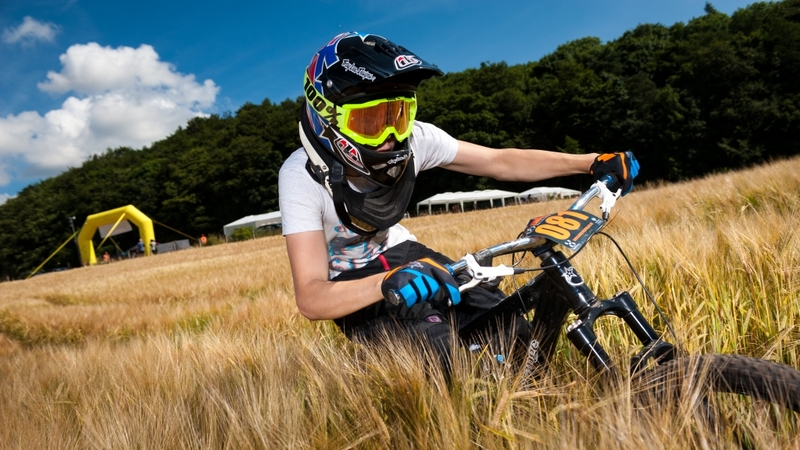 He also advises on tracks used in events and acts as Safety Officer at all of Muckmedden Events’ mountain bike races. 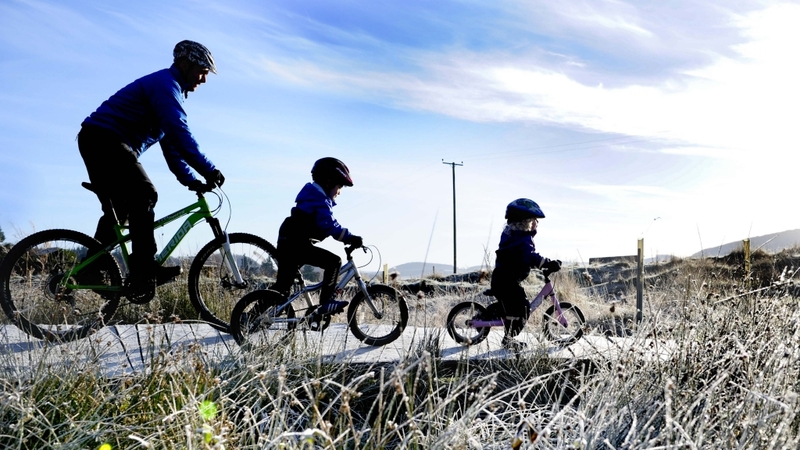 Comrie Croft Bikes – the Friendly shop at the Fun & Feisty trails. 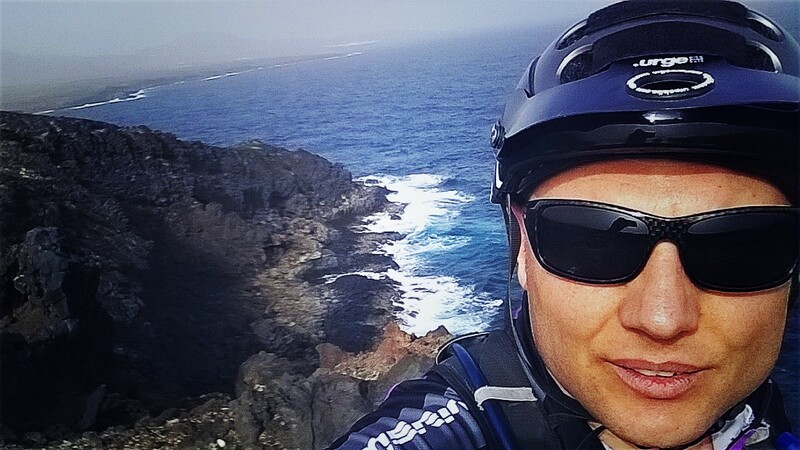 We’ll do everything we can to facilitate you having a fantastic time on your bike. 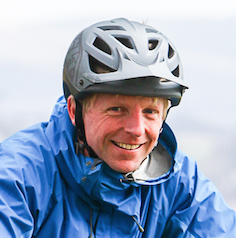 Founder member of the SMBC, Muckmedden’s unique events attract fun-seeking riders from across Europe every year. 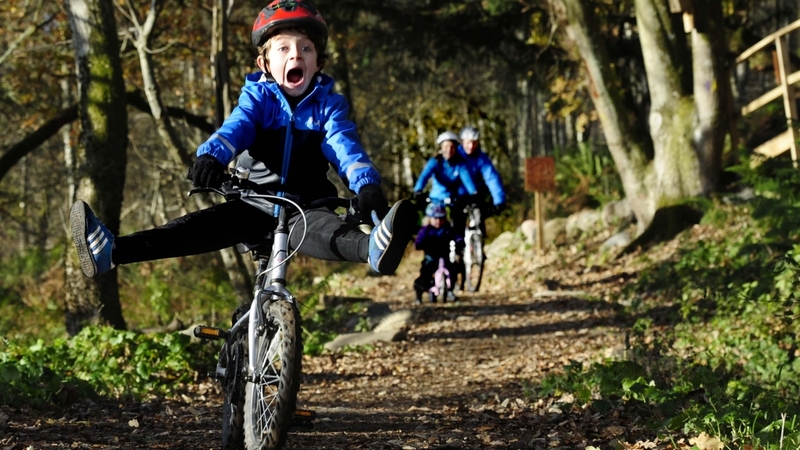 Muckmedden organise a wide range of events aimed at all riders from Balance Biking Toddlers to factory-sponsored Pro Racers. Organiser Aaron Gray regularly works with public and private sector landowners to create imaginative events that complement specific venues and target markets. Aaron can advise on all aspects of small and large-scale events. Parkhill is a 537 acre mixed farm on the south bank of the River Tay. It’s owned by the Howison family and managed by Roger Howison, who has a broad background in outdoor education, operations, and events in Europe and North America. In 2011, Roger returned from running a snow school and mountain bike program in Canada to take over the family farm here in Scotland. Parkhill is currently working on the plan to diversify the farm business to include, among other things, bicycle facilities, events and programs. Roger can advise on setting up and running events, facilities and programs; and with his perspective of being a farmer and landowner is well poised to offer advice and support to other landowners considering mountain biking as part of their business plan. You can usually find Roger hogging the microphone or screaming encouragement to the young bike racers at any of our SMBC events! Progression bikes is one of the original founding members of the SMBC. We are based in Dunkeld, Perthshire and have heaps of trails leading right from our door. From family-friendly flat routes by the river, to all day rides into the hills, it all starts here. There are single-track blasts, rocky gullies and technical descents. Best to ask in the shop for the route to suit your party. The shop has a full range of hire bikes, everything from kids balance bikes to the new 2015 range of Lapierre and Ghost bikes. This includes demo bikes, so just ask if you want to try the latest Spicy or Riot! We also have a full workshop, servicing facilities and plenty of kit and gear in the shop. We also run the legendary Dunkeld Uplift service, and can now take 15 riders and their bikes to the top of the Craigvinean Downhill Track, home of SDA’s and National Champs. We have a number of qualified guides and coaches who can show you the basics, or uncover the hidden gems of Highland Perthshire. We also do a lot of work with schools, group bookings and corporate events. These companies aren’t actively involved in the SMBC, but are companies we regularly use and are happy to promote their services to you and other members. Since October 2011, Morrocco Media has been producing dynamic, fresh corporate and adventure video productions and films in Scotland. Not bland corporate content created to fill up a company webpage. Valuable promotional productions that attract attention, drive traffic, and build your business. Morrocco Media owner, Stefan Morrocco, has been creating action-packed adventure videos since 2004 in Scotland and across Europe, well before the recent explosion in online video. Today, Morrocco Media is an adventure and corporate video production and sports video analysis company, based in Scotland, but with satisfied customers across the world — and it was all done with visionary content, smart promotional production, and friendly and professional promotional video production and sports video analysis services. Our mission has never changed: We’ll help you create the kind of audience-focused production that helps you reach your business goals. Follow Big Pond Scotland on Facebook, Twitter and Pinterest.